TBR & TBD | New and Noteworthy August 2017 — TBR, etc. Lots of good books coming out this month! As always. Here are the books I've added to my list, along with one I'm not sure about. Yay! I new Karin Slaughter book! Admittedly, I've only read one Slaughter book but it was genuinely one of the most extreme and disturbing books I've ever read. However, as a true thriller junkie, I loved it. (That was Pretty Girls). I'm excited to read The Good Daughter-it's one of those where a crime takes place and 25+ years later the violence comes back to haunt the protagonist- but sine it's Slaughter, I have no doubt it'll be good. 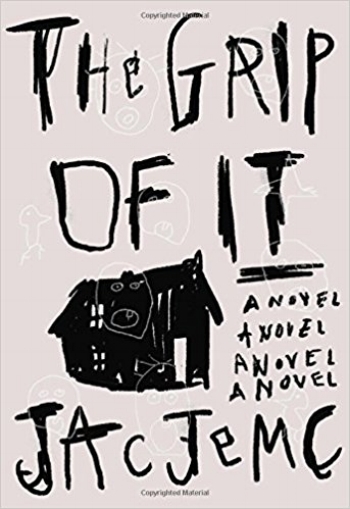 TBR 2 | The Grip of It | Jac Jemc | Aug 1st. I first saw this book on Patience Randle's Instagram. (I recently discovered her feed @inkandfable and love it!) She says it's an outside of the box spooky tale about a young couple who move into a haunted house. Things are fine at first but when the strange things start happening, they have to rely on each other to escape the madness. As in The Girl Before, there's a creepy architect at the helm. Bonus points for timelines, because we might be buying a house soon, too! To quote Cher Horowitz, I'm totally bugging! There are few stories that caught my attention right from the get-go. See What I Have Done is based on the true story of Lizzie Borden. You know, of the "Lizzie Borden took an axe..." fame. There is a really interesting backstory to this book. The author, Sarah Schmidt, is Australian and said that Lizzie Borden jumped out at her. She didn't know the story and found about her in a pamphlet she came across, and then Lizzie continued to come to her in her dreams for about the next 11 years. I LOVE hearing about how authors get inspired, and if you believe in Elizabeth Gilbert's Big Magic then this is totally plausible. I really hope I enjoy this! It's already out in other countries, so if I have any Australian friends that have read this one, let me know what you think! I was approved for an ARC via Net Galley, though, and just started it. So far, it's completely weird, but I see a lot of potential and think it will come together. What are you excited for for the rest of the summer? Any books that you're skeptical about?